I wanted to explain my new blog header for everyone who notices it is different after over a year of not changing. This is by far my favorite picture of 2009. I took this on our morning safari in Kenya. I was dead tired and had stayed up till dead:thirty in the morning watching interns being interviewed on experiences in Kenya. It was an awesome night, don’t get me wrong, but it heavily affected my enjoyment of the safari the next day. I was the most tired I have ever been in my life, and there were times I selfishly wished that the safari would end. I was to the point of being physically sick of exhastion. 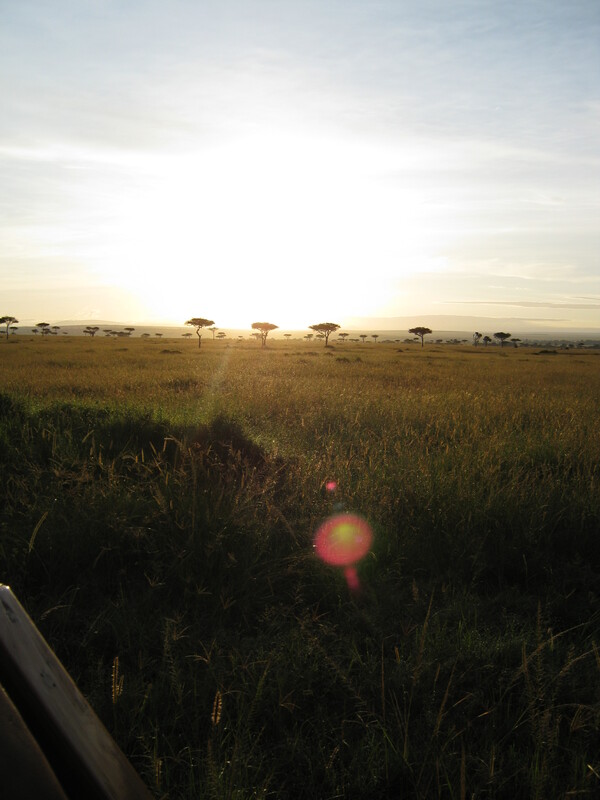 But out of that morning and early afternoon came a very beautiful picture on Masi Mara. If you come to my house you will find the full photo (below) framed and placed on the wall. It is the perfect capture of Kenya, of a safari, of how you would expect it to be. And I took from the picture a sense of awakening. A new dawn or chapter in life. New opportunities would arise and, boy, have they! Where I am at in life is a sort of search for an awakening of my soul. And as I prepare for some important chapters in the next 6 months of my life I pray that you will experience an awakening in my life that will flow into yours.